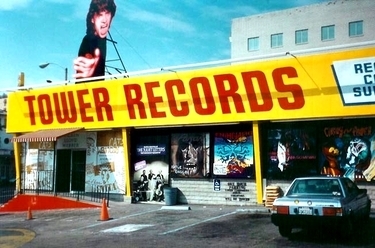 I have many happy memories of Tower Records (both the Sunset Blvd. and Greenwich Village locations) and all the wonderful music there. When they were going out of business, I went a few times, but couldn't find anything I cared about (even for 50 or 60% off).